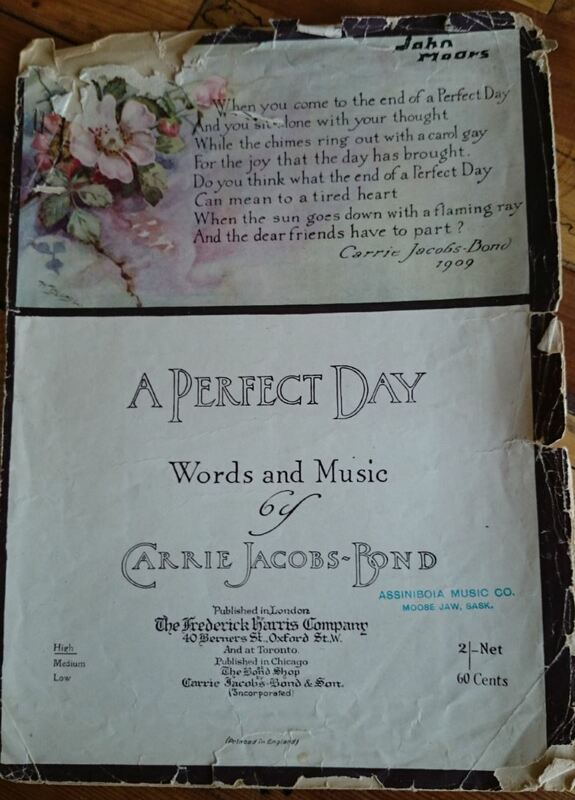 Here, Nelson Eddy performs A Perfect Day by Carrie Jacobs-Bond, written in 1910. Nelson Ackerman Eddy (June 29, 1901 – March 6, 1967) was an American singer who appeared in 19 musical films during the 1930s and 1940s, as well as in opera and on the concert stage, radio, television, and in nightclubs. Although he was a classically trained baritone, he is best remembered for the eight films in which he costarred with soprano Jeanette MacDonald. During his 40-year career, he earned three stars on the Hollywood Walk of Fame (one each for film, recording, and radio), left his footprints in the wet cement at Grauman’s Chinese Theater, earned three Gold records, and was invited to sing at the third inauguration of President Franklin Delano Roosevelt. He also introduced millions of young Americans to classical music and inspired many of them to pursue a musical career. This, from the Songwriters Hall of Fame website. 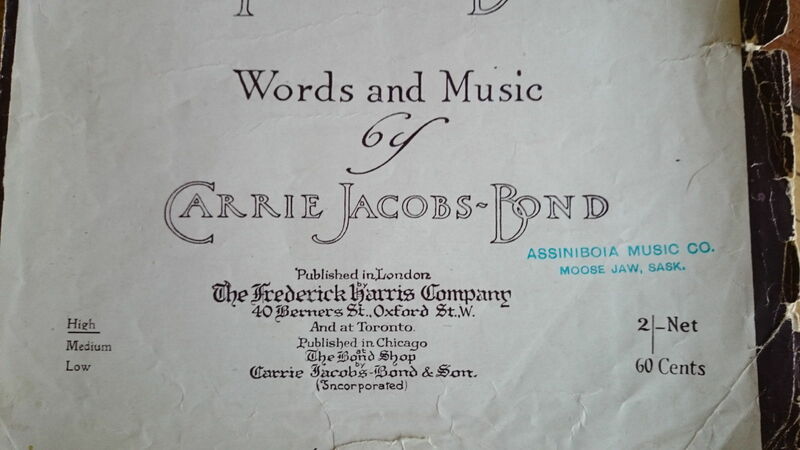 Composer, lyricist, poet and the first woman to establish a music publishing firm in America, Carrie Jacobs Bond was born in Janesville, Wisconsin on August 11, 1862. In her early career, Bond appeared in vaudeville acts touring throughout the United States. In the 1905 she performed at the White House for President Teddy Roosevelt and during World War I, toured throughout Europe performing at US Army Camps. In 1941, Bond was selected by the General Federation of Women’s Clubs as one of two composers representing progress of women during the first half of the century. She published an autobiography The Roads of Melody as well as a collection of poetry, The End of the Road. Carrie Jacobs Bond died in Hollywood, California on December 28, 1946. “Believe it or not, I sang the whole song with the video and knew nearly all the words. I love it. 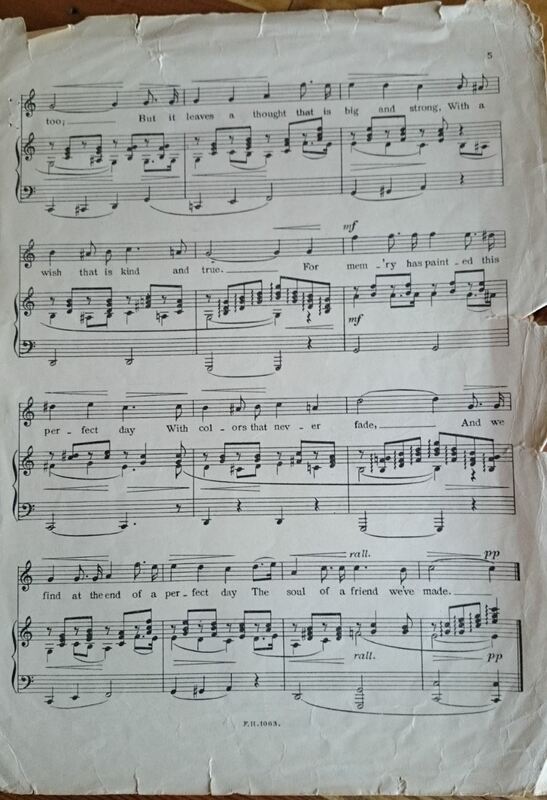 I guess I sang it in 1947-48, maybe even 1949. 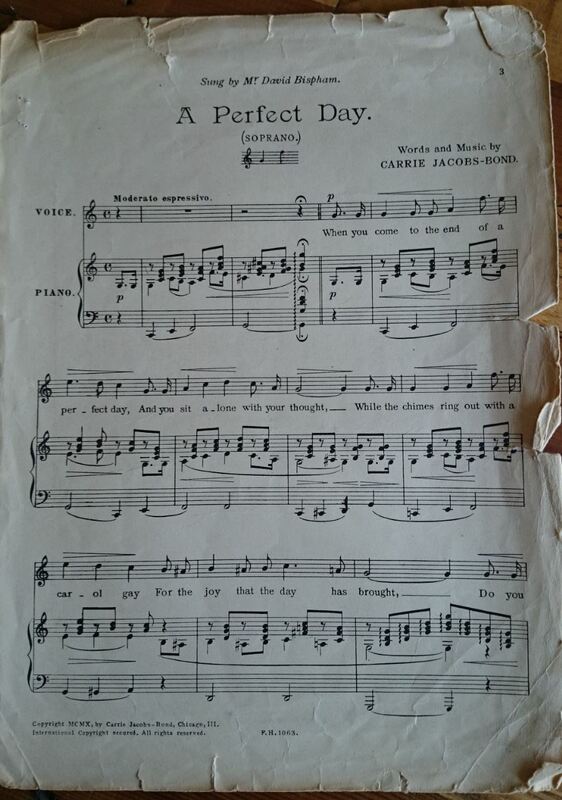 Mrs. Alice Weir, the lady who taught music at high school, was my teacher and though she usually had me sing songs In preparation for music festivals, I had to learn a few of these popular tunes which everybody loved. Mrs. Weir got me gigs at Lions and Rotary Clubs, Banker’s meetings and anywhere else she could, to get me over nerves when singing in public. Sometimes she played for me and sometimes Bob Pounder, our church choir director, played. That was when we were close to a festival because he always played for me in the festivals. I just loved Mrs. Weir. She taught me so much more than singing. I remember once we were singing for a men’s club. The song I sang was after dinner. Well, before I started the second song, these guys were all yacking away. I began to sing, but she quit playing. I still remember her words. 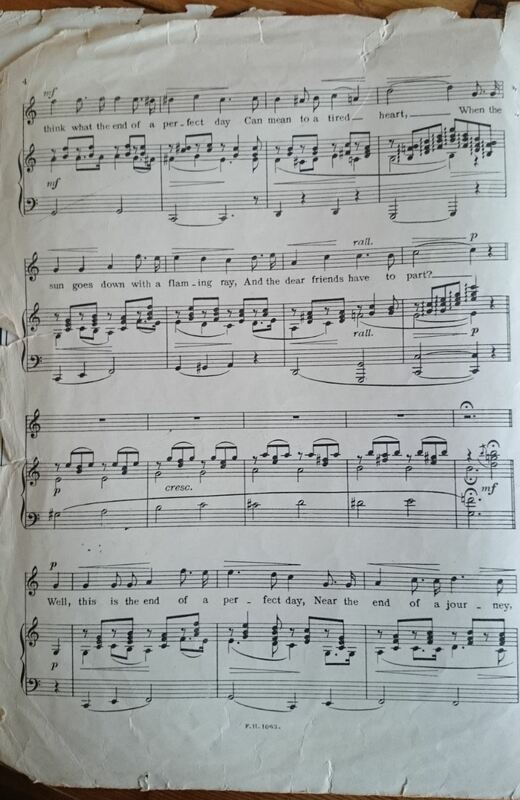 “Come, John, if these rude men do not appreciate good singing, then they do not deserve you!” And, BOOM, with her haughty head in the air, she led me out of the hall.